For all of you newly engaged brides planning for a fall wedding, it's hard not to get inspired by this lovely set! 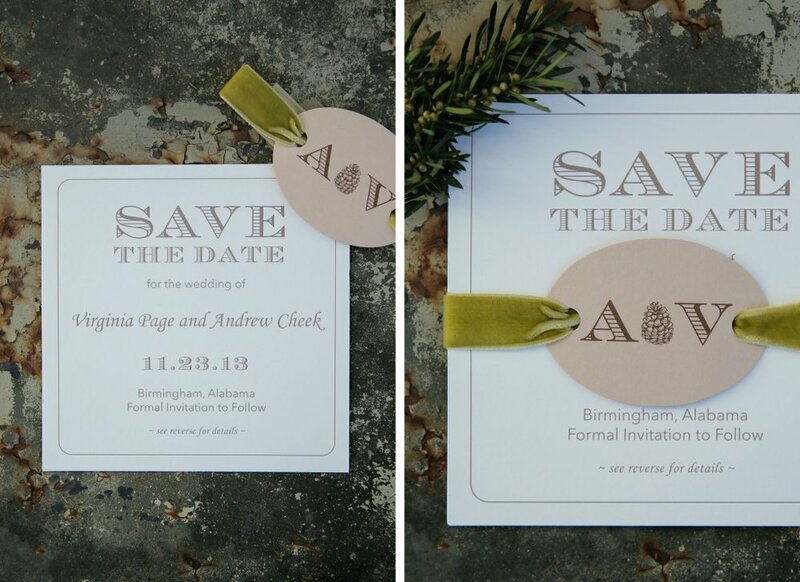 We love a pretty paper suite that sets the tone for a fabulous wedding, and this one did just that! 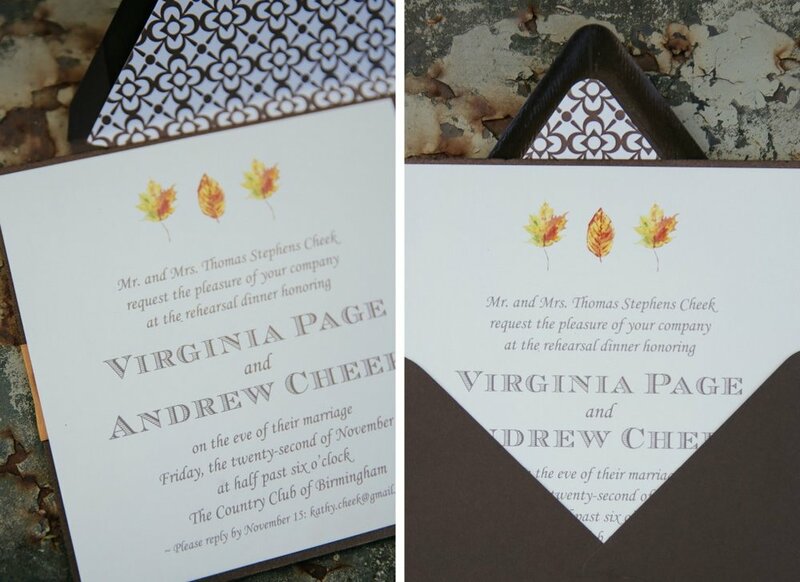 Our in-house designer, Mary, knocked it out of the park again for this November wedding. 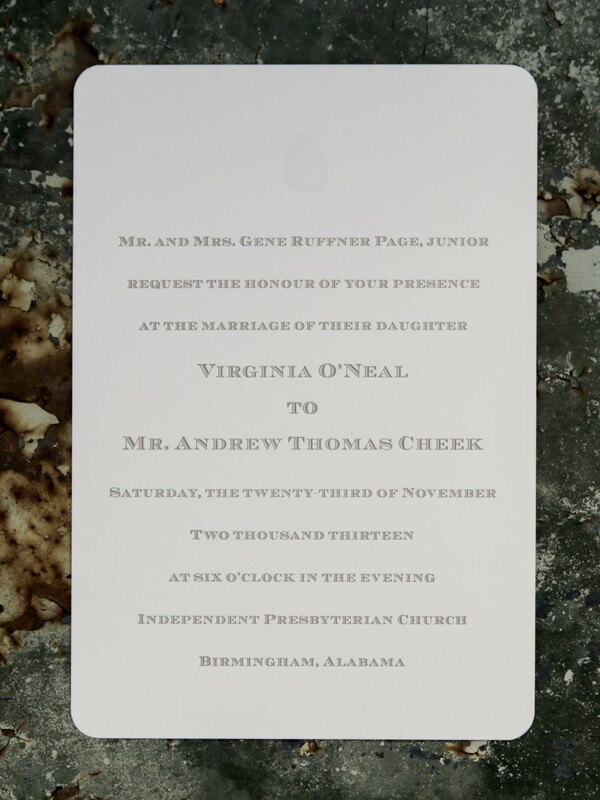 If you love this, be sure to check back for photos of the stunning ceremony and reception at Independent Presbyterian Church and Mountain Brook Club!